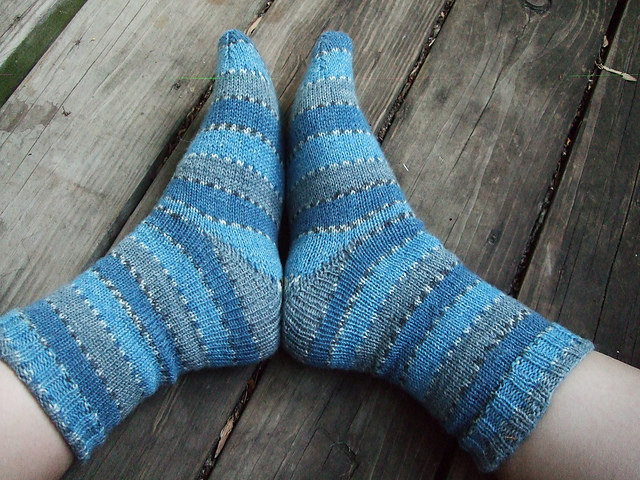 FO: Socks | Stitch, Brinn, Stitch! Ok, so I had a hard time falling asleep so I got up and played around on Rav. Which brought me here to your blog. Which, after reading ONE sentence, had me LLOL (laughing loudly out loud) because of your description of the socks…..” a powerful ugly colorway”. I think you could become a new type of stand-up. A knitting stand-up, talking to the audience kinda like The Yarn Harlot, and knitting the entire time. If this ever proves true, I can say I “knew” you when. AND you knitted me a Hitchhiker.